SugarSmile: LG Electronics and Netflix Streams New Original K-Drama, "Kingdom"
Kingdom is a thrilling K-drama about ancient Korean monarchy and the threat of an impending zombie apocalypse. 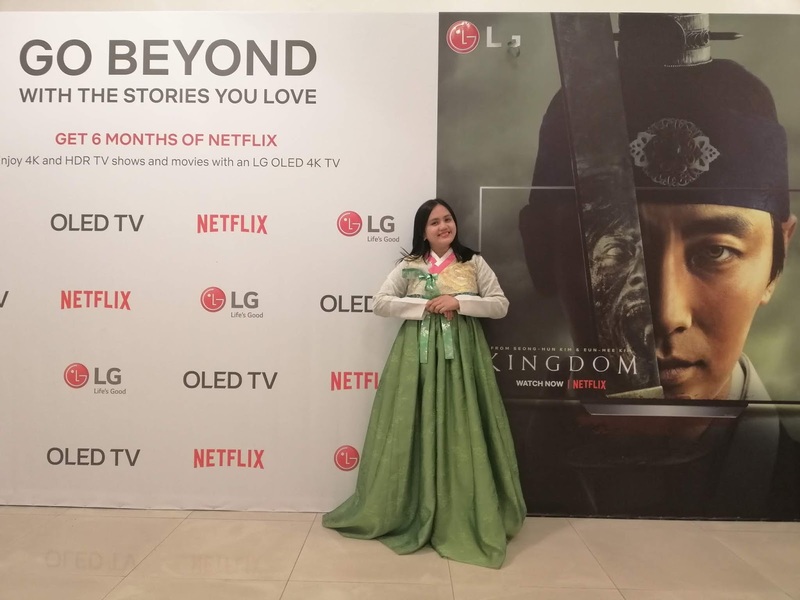 Set in Korea’s ancient Joseon Period, “Kingdom” follows the journey of a crown prince sent on a suicide mission to investigate a gruesome plague spreading inside the kingdom — only to find zombies threatening his reign and his people. We were the few ones who got to enjoy the first episode of Kingdom watching with the LG OLED TVs at the Korean Cultural Center in BGC. I actually loved the feel of the screening, as the sounds and sights were so crisp, you could feel like you're in Joseon Period with casts Ju Ji-Hoon (Prince Chang) and Bae Doo-na (Seo-bi). 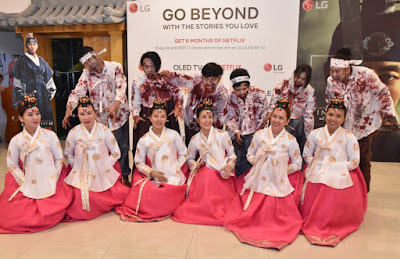 After the screening, we went to wear the traditional Korean Hanbok and even got to pose with the zombies. A traditional Korean feast dinner was served after the Nara Team performed a traditional Korean Fan Dance before the actual viewing. 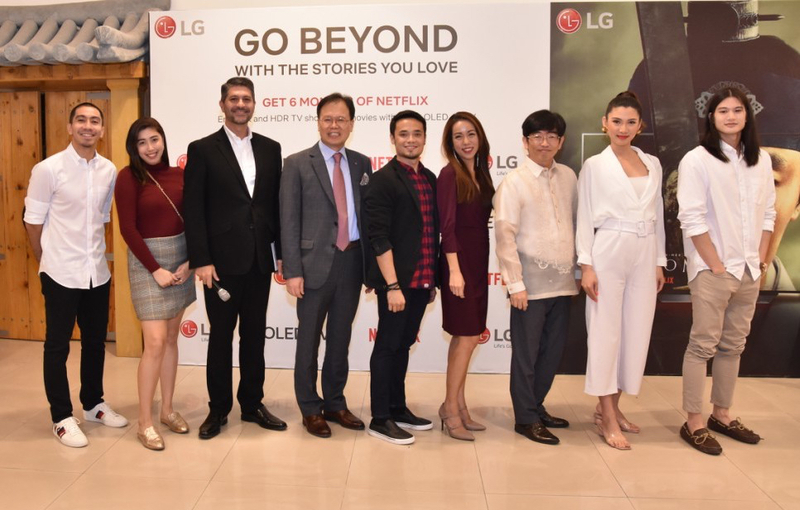 This growing partnership between LG Philippines and Netflix Philippines further solidifies the bond between Filipinos and Koreans. 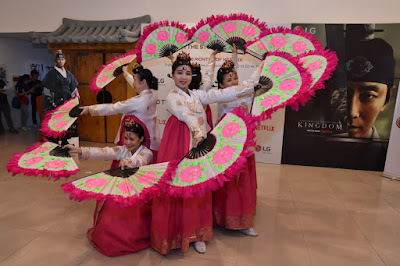 2019 marks the 70th anniversary of the friendship between Philippines and South Korea which started when the Philippines became the fifth country to recognize the Republic of Korea in 1949. 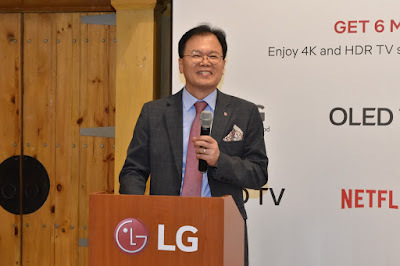 Since then, the mutually beneficial relationship between the two countries has grown in every aspect: economically, technologically, culturally, and even in military and government support and this latest event is a reminder of the strength and reliability of the flourishing friendship between the two nations. 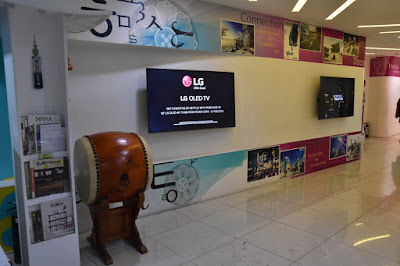 And truly in this age, we have an increasing Korean cultural influence in the country.